Numerics on Apple TV works as a display for dashboards designed on the iPhone or iPad and synchronized via iCloud Sync. To get started search and download the Numerics app from the Apple TV App Store. Numerics is a universal app uniquely optimized for the Apple TV. It makes use of the Apple TV’s focus engine; all the controls are accessible by easy gestures on the on Siri TV Remote and completely compatible with the older remotes. As a universal app, all in-app subscriptions purchased on your iPhone / iPad will automatically be enabled on the Apple TV. 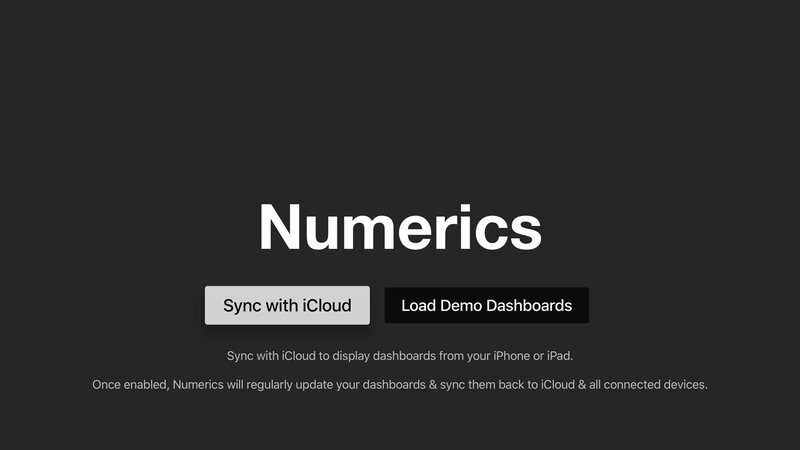 On launching Numerics, you can choose to “Sync with iCloud” or “Load Demo Dashboards”. & connected your Apple TV with the same iCloud account as on the device with the Numerics dashboards. 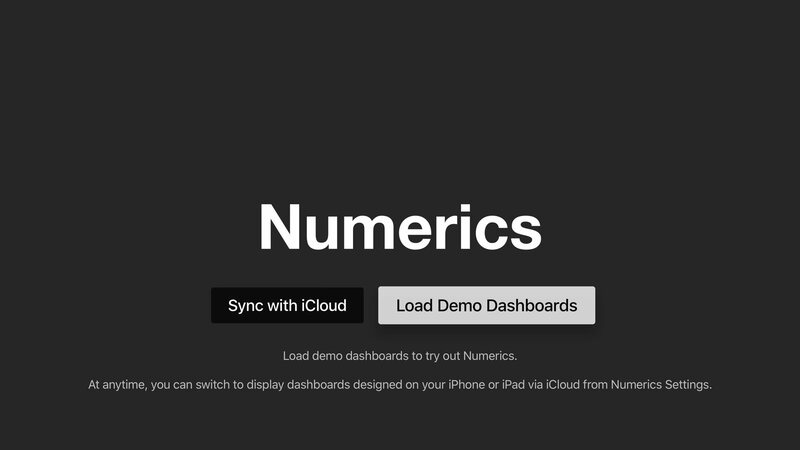 Numerics bundles demo dashboards that you can load to try out the app. All features are enabled with the demo dashboards. Choosing this option will automatically setup Numerics with demo dashboards that you can use the Siri Remote to interact with. At anytime, you can switch to displaying dashboards designed on your iPhone or iPad via iCloud from Numerics Settings. Use the Siri Remote’s Touch Surface to interact with each widget on the dashboards, swipe left or right. Up or down. Click to zoom. Make a widget extra large in size to attract focus on key KPIs. Click and hold the Siri Remote Touch Surface to toggle between sizes. Or tap on the Make big button in the top right corner of the widget in the zoom view. You can add background colors to the widgets and change their display order on the Apple TV by dragging and moving them on the connected iPhone or iPad. The changes will be reflected in realtime on the Apple TV using iCloud Sync. 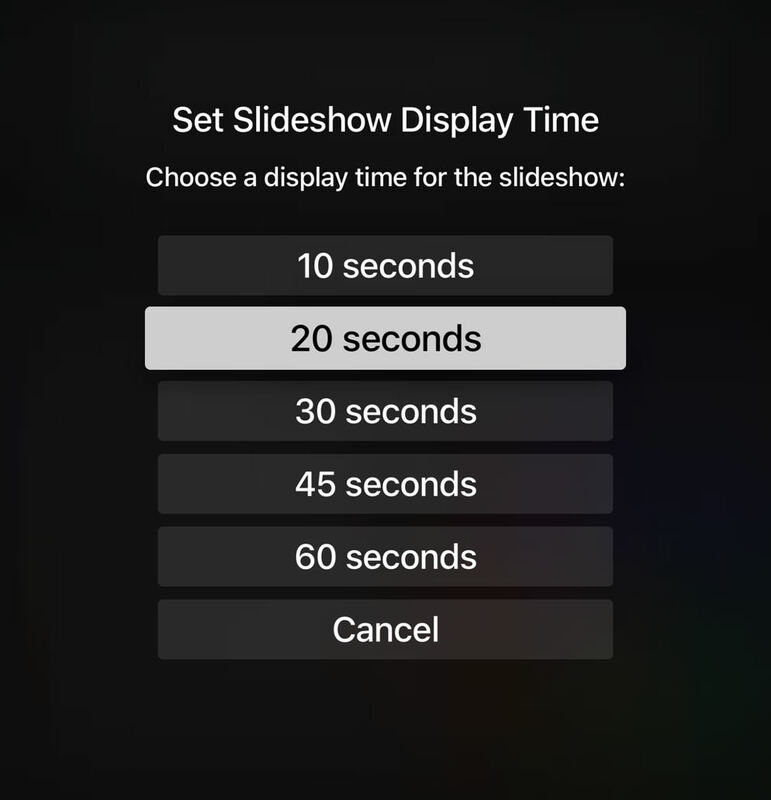 Press the play/pause button on the Apple TV remote to start a widget slideshow anywhere. The slideshow will loop through all the widgets on a single dashboard. You can choose a time for which each widget should be displayed on the screen from the Settings in Numerics. iCloud Sync also helps bolster the background push, where, if Numerics is left ON on the Apple TV, it will act as a ‘server’ and push updates in realtime to all connected devices. You can disconnect iCloud from Numerics settings on Apple TV. All Numerics dashboards will be removed from the Apple TV and the app will be reset. Your Numerics dashboards in the iCloud will remain unaffected. You can restore your dashboards anytime by re-connecting iCloud sync.